Bangladesh Army Job Circular 2018-2019 published their new Army job circular total eight division. From January 20, 2019, to June 13, 2019, The soldiers will be held in the public admission process in the scheduled cantonment. Application Deadline:- The application will start on 01 December 2018 and ending 31 December 2018 Via SMS. 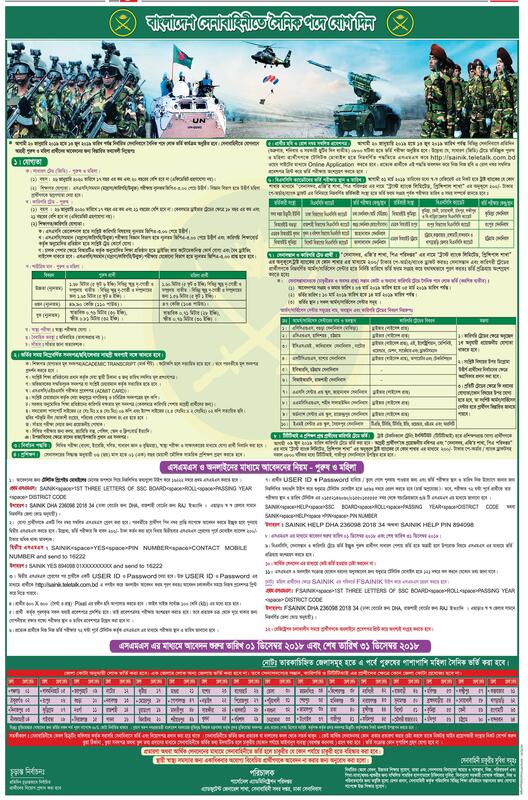 Application Process:- Interested applicants must apply through the http://sainik.teletalk.com.bd website. See the image for more details about the application process.